For many reasons I should never give any parenting advice. However this is the one thing which I think turned out really good for my kids. Whining and crying goes to bed. This worked out great when my kids were toddlers. But now that I think of it, it could also be just as good for preadolescents and teenagers. It nearly eliminated whining. In fact I remember a few times where I thought I heard whining and I would say so and I would hear back from a 3 year old " I am just trying to express frustration." Which actually sounded rather mature for a 3 year old. And much better than the whining sound that preceded the statement. One of my memories from early childhood is of being accused of whining rather a lot. And each time I would be told to stop whining, it was my impression that I was not whining but arguing. Either I was not able to distinguish the "tone" that sets those two apart, or the people in my life (parents and unsympathetic older sisters) were not interested in distinguishing -- a theory I certainly held at the time, because I knew what whining sounded like in other kids, and did not think I was doing it. In either case, being punished for asserting myself would have greatly compounded my sense of grievance in many instances. When I was subject to "do x and go to bed" punishments, I always felt they were more for the convenience of the adults in my life than for any actual misbehavior. But then, I would have thought that. From fair and introspective parents with a keenly-honed sense of justice and an inclination to decide for their children in borderline cases, I can see a rule like that doing some good. But I didn't have parents like that, so I'm inclined not to think it's a winning parenting strategy. I remember whining when I was young, it didn't last long because my mother had the best responses. "Oh, you're bored, well you can wash the dishes, vacuum the living room, pick the peas/beans/strawberries/raspberries, weed the garden, clean the toilet, there is so much to do, take your pick!" or "You sound tired." Basically she would translate the whining of my siblings and I to whatever suited her, it is very effective. Tee-hee, I do that with my two year old, though it's more when he starts fussing. I say, "Oh, my, you sure seem tired. It must be time for your nap." That usually snaps him out of it pretty fast. As for whining, we usually just model how he should ask for things. Instead of him saying, "I want crackers!" I have him say, "May I please have some crackers?" He does a good job of saying it right, and usually tries to say it right the next time. Modeling for him really helps. Being told what not to do is often confusing for little kids, but telling them how they should say it or act guides them to saying it right. This, of course, only works if they are willing to make changes--how you get them to be willing to change is a whole 'nother Cider Press topic! 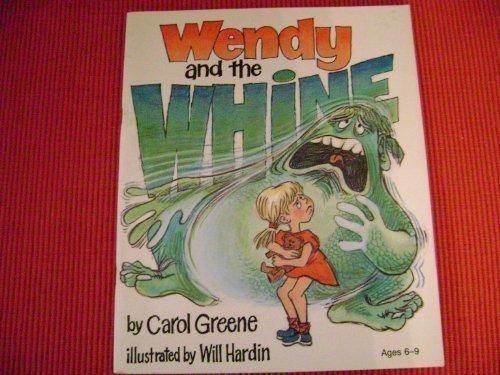 When I was little, if I whined, my parents made me read, "Wendy and the Whine." It's about how the more that Wendy whines, the more it takes over her life until she prays and lets the Holy Spirit help and the whine is banished. I honestly never really understood the book, and had to read it over and over and over and over again over the years. I was also kind of scared of the ghost/whine/blob/thing. I never correlated the blob thing to the sound of my voice. I'm thinking reading the book didn't really help if I had to read it so many times! I also was never really good at such things influencing my behavior--spanking never worked either because I just did what I did because I thought it was right. All kids are different. 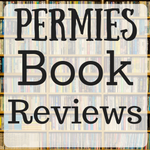 Though, of course, my parents might say that the book and the spankings helped with my behavior--they were the outside observers, not me! One thing that might help with some kids (3 years and up, I'd think, who are still whining after trying other things) to try recording their voice when they are whining so they can hear it, and then record them saying it nicely so they can hear the difference. It is hard to tell what's going on with our voices, even when we are adults! When my daughter cares over not getting her way, I tell her to stop, or go to her room until she is done. The crying is her attempt to get her own way, usually after her arguments have proven ineffective. Being sent to her room isn't,t a punishment for her, it's a way to keep her from punishing the rest of us. When she is done, she can come back and rejoin the rest of the family. It has taken a long time for my wife and I to get on the same page on this, and Mom still gives her more leeway , but it generally works. Both of my daughters began nagging me on minor points of etiquette by the time they were 7 years old. Modelling their mother and teachers. Nicole Alderman wrote: Being told what not to do is often confusing for little kids, but telling them how they should say it or act guides them to saying it right. This is so true for all humans, young or old. If I think about it, it's true for my puppy. He got a lot better at not pulling on the leash when I gave the command slack and copious praise rather than no pull when he was doing it wrong. If you don't clearly point toward the desired behavior, it can quickly devolve into a "bring me a rock" game which can be so discouraging people just give up. One of my friends used to use the phrase, "use your grown-up words, please" to counter the whining. I am trying to learn non-violent communication because I find that I get my way far more effectively when I speak kindly to people and listen to their needs and consider them before I make demands - or actually try not to make demands at all but try to negotiate. I find that using punishment for expressing an emotion is not really helpful for teaching my kids to express their emotions in a constructive way... As Dan Bone says - when is it the parent's convenience and when is the child misbehaving? In my experience, there is no such thing as misbehaving - there are needs not being met (and one need may be tiredness - in which case the bed is a good solution), lack of information, and skills not learned yet. It isn't really different with adults, only with other adults I am not responsible for meeting their needs or learning skills - they are. Learning to use non-violent communication with my kids teaches me to also use it with adults - because it is way easier to do with an adult where I am not emotionally entangled, and who aren't as much like me as my kids are - and it is far more rare that there is the same urgency in my dealings with adults as there is with my children. If my children whine I try to figure out what they are trying to express "frustration" as your son so eloquently pointed out, "hunger", "fatigue" and find a solution - and I also state my needs "I need some quiet in my head for me to be able to help you so I need you to stop making that sound" for example. It has been easy with my son, since he is extremely vocal, my daughter is harder, because she isn't as strong verbally. I help her learn to put her emotions into words by guessing how she feels "do you feel frustrated?" "tired?" "angry?" etc. So, my son found this book a year ago, and wanted us to read it to him. We did. It had the exact OPPOSITE result than was intended. My son--before reading that book--never really whined. He'd cry or yell, but he never whined. After he read that book, he began to whine. He's finally whining a bit less, but I refuse to read that book again. My almost-2 year old daughter found the book three days ago. I said no, we're not reading that book! I don't need her whining, too!!! So funny that you are now scared to read the book. Still I think that whining is a bit more expressive than crying and less 'violent' than screaming, which would make one more likely to listen vs being defensive. That said whining is not the best and I am glad he is finding even better ways to deal with his frustration in life's lack of instant gratification. It's possible you have taught him some reasoning skill/long term outlook and also some time management skill. Ah, but when he would whine, he would ALSO scream and cry. It didn't become a better communication strategy, it just became another thing he did. Before the book, when he was mildly frustrated he would ask or talk to us in a relatively normal voice. After the book, he would used less words to empress himself, and used a whining tone. I've no problem with a child tearfully expressing a want/need, or even doing so in frustration. Whining, however, is a specific tone of voice which implies demand, not just an emotion. And, anywhere that child goes in life, they will be surrounded by people who will HATE hearing them whine, more than anything else. Teachers HATE whining. Bosses hate whining. A person who has the habit of whining, will be disliked and probably have a harder time in life than need be. And, that tone of voice can be a nasty habit that's hard to break. I don't want my kids to be chained by a habit of whining that makes people hate them for no reason aside from the tone of their voice. But, yeah, we very much work to help our kids express their feelings and desires and learn how to both communicate and understand those feelings and desires...as well as to understand that they don't need everything they want, and they certainty don't NEED it right nooooooooooow. The wonderful thing about having a good vocabulary, is being able to use the right word to express just the right meaning in brevity. Whining is a great example of that because "expressing yourself" is a broad term, like saying something is a "piece of metal", where as whining narrows the scope, like saying something "is a piece of cast iron". I have (5) daughters, ranging in age from 5-23 and I found having a sign on the refrigerator that said "No Whining" stopped a lot of nonsense. Sometimes I would have to remind my children, "remember what the sign says", and other times just had o point to the sign. It really worked well over the years. PBS Kids has a show that I thought would be good for him. Cajou? Pronounced Kiyoo. This "cute" little show taught my angel how to whine! And how to beg! Grrrr!!! PBS viewing was reduced to ONLY Wildcrats. He learned to stop whining. Begging still shows up. I've heard many horrible things about that show. Thankfully, we've never watched it. I do recall the preschool I worked at had a Caillou book and I was NOT impressed. The crux of most Caillou complaints is that the title character has an almost supernatural ability to reach through the television and turn the show’s young viewers into shrill monsters. The reason for this is simple: Caillou is a shameless whiner. Jordan Peterson says a parent's #1 job for the first 5 years is teaching their children manners so others like being around them. If they don't have manners or are generally just annoying others will not like them and that sets off a chain of distrust and bad behavior that often lasts a lifetime. Since he is a psychologist that has seen a lot of really messed up people he likely knows what he is talking about. oh man. I remember at one time my daughter (now almost 19) watched Caillou, and we ended up making up new words to the theme song (which was kind of catchy). I don't remember all of them, but I do remember specifically instead of Caillou we substituted the word "whiner". "this is a song about, just a dopey song about, this is a song about the whiiiner"
I worked with children and learned from a wise older teacher, who stated a flatly-intoned "I can't hear you when you whine" and changed the subject. It may take a time or two and you may need to bite your tongue til it bleeds to not laugh/engage/shout but kids are not dumb, they want your engagement, that's why they're whining to you, and they'll get it sooner or later. I'm pretty certain that whining is an effective way to live. There are plenty of successful whiners, even some who laud their own whining as a source of strength, a way to get what they want. Many of these people are quite well liked. Demanding things on the basis that you are you is part and parcel to celebrity culture. It is a dishonorable way to live, in my opinion, and I frankly don't want my children to succeed by whining, no matter how effective it is. If you get something that you haven't "earned", I got no problem with that. The world promises us nothing, no matter what our efforts, so we must be willing ask for what we receive. Whining on the other hand ,is just low grade extortion, nothing to be condoned. Try responding to a whiner in the same tone-they will probably take offense. But if nothing they are doing is offensive, how can responding in kind offend them? I don't think it is any form of extorsion, I think it has a deeper rooted problem and that is in contentment. How could I not, I was using nail guns and putting framing up inside her room? I tried to limit what I moved, but the pounding was shaking thins off the walls so I moved them so they would not break. I chose a way to get my point across, but i don't think it was nessasarily the BEST way, but ultimately we came to an understanding. But why do we have a country filled with whiners today? We have a country filled with people who have not figured out how to be content. I still believe as I posted two years ago -- and have believed since childhood -- that much of what adults condemn as "whining" is honest effort by children with inadequate verbal skills to attempt to negotiate some resolution of the circumstances of their discontentment. In the face, generally, of utterly intractable adults who aren't willing to budge on whatever matter is causing the discontent, despite constant exhortations to the children in question to "use your words." Which means "compose yourself, talk like an adult to the best of your ability, and then shut up and go away without a fuss when you don't get what you want despite having made that extra effort." Of course, many times the cause of the discontentment is fundamentally unreasonable or unable to be resolved, because that's how children are. But they have no way to know that, and yet are held responsible for knowing and understanding it. IMO this is a specific case of the general phenomenon, often remarked upon, of how many adults seem to have little recollection of what it was like to be a child, or if they do, they seem to have remarkably little empathy for that difficult condition. Travis Johnson wrote: I chose a way to get my point across, but i don't think it was nessasarily the BEST way, but ultimately we came to an understanding. I LOLed at this, imagining it to be an extreme understatement. I don't want or need to know the way you chose to get your point across, but the mental image that jumped into my head was you standing in the middle of her bedroom, yanking the starter cord on your chainsaw, saying something like "OK, then, I'll just put everything back the way it was this morning, starting with the legs on this loft bed, won't take but about three minutes!" I once had a boyfriend who was divorced and had 2 sons, 1 four years old and the other 2 years old. The 4 year old was a joy and very obedient. The 2 year old was difficult to say the least. He threw really bad temper tantrums. So I picked him up and put him in a crib. He yelled, "I'm not a baby; I'm a big boy!". But he kept going on. So I pulled the door partly shut and told him when he was ready to act like a big boy, he could get out. The first time he screamed for several minutes, making himself hoarse. Then he calmed down and I got him out. The second time, he screamed for about 30 seconds and got out. After that, I would just say, "do you want to be put in the crib" and he would say "no, I'm a big boy". And that was the end of his temper tantrums - at least when he was around me. One visit, the four year old started whining. He had never whined before. And I said, "Wesley, what does your mother do when you whine like that?" He got a big grin on his face and said, "she gives me candy". We had a little chat about not getting rewards for bad behavior and that was the end of his whining. I felt bad for both of them as they didn't have the best parenting. Early on, it became obvious that even the 4 year old did not even know his colors. I would ask him whether he wanted to wear the red or the blue shirt - and he just had a blank look on his face. No clue. So I taught them their colors. Poor kids. Rewarding the behaviors you WANT - not the ones you do not want. Immediately removing pressure when the behavior you want is delivered. I feel for all the children who have unreasonable or even terrifying parents. Interestingly, studies have shown that consistently ignoring is actually more detrimental than negative attention. That explains why some children use bad behavior to get attention. It is exactly because I remember being a child that I try to encourage them to make their point as reasonably as possible, and accept no as an answer,as gracefully as possible. I also encourage them to become self sufficient to the point that they don't have to answer to anyone, especially me. I was the kid that fought every point,every time. I told everyone I just wanted to know why,why I had to this or couldn't do that. Strangly, I never questioned decisions made in my favor. Those who accomdated my outrage never made me a better person. Those who challenged it did. I explain my reasons to my children. I invite them to offer alternative ways to get the same goals. I ask them what our lives would be like if we all acted according to their principles. I will try their solutions, as long as there isn't too much at stake. If their ways work, so be it. But they usually don't, because they are children, and they lack experience. They want autonomy without responsibility. They will realize these things go hand in hand,my job is to break it to them as early as possible so the shock doesn't kill them. As adults we answer to others, pleading our case as best we can, often to be told no for our trouble. Such is life for most of us. If we don't ask our children attempt this because the are "only children", how will they learn? They will learn the hard way, from people who don't give a damn about them. Treating children with respect includes asking things of them. When I ask good behavior from anyone, it's because I judge them capable of it, and worth interacting with. I would try to coax a whiny boy into better behavior,a kindness I wouldn't extend to most any man. What happened was, despite a lot of fatigue lately, I made it a point to work on her loft bed so that when she came home she would have a nice surprise waiting for her despite a lot of pressures to get other things done. When she was more concerned about what was moved then what was done, I rather had it with her. She kept ramping up to near tears and lots of whining (at age 12). I replied with a lot of yelling. In hindsight I was wrong as a parent should always be in control, but what was said was not wrong at all, and ultimately we came to an understanding. I always feel bad for parents that are trying to negotiate with a toddler because ultimately they are in for a lifetime of frustration. Our jobs as parents, as sad as it is, is to raise our kids so that with every passing day they need us less and less. The same parents that tend to negotiate with toddlers, are the same ones who tend to cuddle teenagers and wonder why things are going so horribly wrong. It is going wrong because they have the raising of children backwards. As toddlers parents must make more decisions for the kids, and as they get to be teenagers (closer to adults) they need to make more of their own choices. They will have to understand that they are also responsible for the consequences of their choices...good or bad. I do have to say that learning to train horses and dogs was exceedingly helpful in learning to deal with children. This kind of thing is also very helpful when the teen years hit, when often the kid just wants acknowledgement that yes, things can be hard sometimes. We had a very rough patch for a bit there but things are finally settling down and I am seeing the person she has become. Funny enough, she was the same person when she was 2; my job wasn`t to change her, just to give her the tools she needed to get by (including communication)-- or as stated above, so that she needs me less and less. Being the adult is not nearly as easy as I ever imagined it would be, but it sure has been rewarding. Tereza Okava wrote: I do have to say that learning to train horses and dogs was exceedingly helpful in learning to deal with children. Absolutely. Kids and dogs/cats/horses have a lot in common. Both have to manipulate the adult humans in their lives in order to get their needs/wants met and both initially have some severe limitations in their abilities to communicate (so they have to improvise and see what works). I try very hard to keep things positive in my household and that applies to what I say on a daily basis to my loved ones (which are my dogs). We can lose what we love at any time therefore I want every day I have with them to be as happy/positive as possible. Part of that is making sure we interact in POSITIVE ways, and don't get trapped in pointless negative interactions. Whining isn't at all positive. It makes everyone involved LESS happy including the whiner. Teach them how to get what they want in a positive way, or how to simply accept sometimes we have to do things we don't like (such as go to bed) but once we get used to it is no longer unpleasant. Big difference between kids and dogs is that kids eventually have to survive in the outside world where unsympathetic people will exert power over them in both subtle and overt ways. If they were ill prepared because they never learned how to properly (and positively) influence others they will suffer as a result. Tereza Okava wrote: This kind of thing is also very helpful when the teen years hit, when often the kid just wants acknowledgement that yes, things can be hard sometimes. One thing parents need to keep in mind is that even if their children appear to ignore what they say, it matters. And they care about what you think and say a lot more than they will typically let on. Children, like most dogs and horses, want to please you if they can figure out what it is you want. While you can terrify your children into submission, that has lifelong consequences for them. And they will leave at the first opportunity and rarely look back. ....along these lines, ...... and maybe I missed it above....is the fact that a caregiver's behavior will have equal or more impact than their words. My own parents were pretty sanctimonious....their behavior was otherwise and it's not uncommon for the public face of parents to hide quite well the private one. But yes, both what parents say and what they do is being cataloged quite efficiently by the developing mind (and soul?) of a child. It's also abundantly clear how much children actually do want to please or at least be a part of the group.....which makes it all the more of a conundrum when their internal compass finds itself at odd with the behavior, words, or commands of a caregiver. Not to say there isn't some kind of 'socialization' that needs to be done in all cultures, but I do feel there to be an inner compass of what might be called 'injurious' versus 'life affirming' behavior....and the extent to which commandments or behavior of the adults is at odds with that compass is likely to cause problems. In additional to terrifying behavior that can make one rarely look back, I would add 'sad' behavior.....as in sad that one's caregivers could be so narrow-minded and bitter. One ends up having to choose if they wish to keep exposing themselves to that toxicity, abolishing contact altogether, or finding some happy medium. You are forced to teach/manage children WITHOUT using corporal punishment. I'm not against spanking as a rule, though I've never spanked either of my children because (1) it would be counter productive for their personalities, and (2) I have enough "tools" in my parenting toolbox that I don't need to resort to spanking. I spent 6 years working in Early Childhood Education, and you can't go spanking other people's kids! You learn that every child is different. You learn that it's OKAY to parent your child differently than someone else parents theirs, because they're child is different than yours. And you get a feeling for when your child is outside the normal range of something. You learn to sacrifice. Parenting is hard work. Getting some experience with kids helps refine you into a better person with more patience before you have the sudden squalling infant in your arms. There's lots of ways you can get experience with kids BEFORE you have them: work in a daycare/preschool, volunteer in a Sunday School classroom, help disadvantaged kids in boys & girls clubs, volunteer in a school or preschool. is the fact that a caregiver's behavior will have equal or more impact than their words. Amen to this! I continue to be very thankful for the fact that my parents always practiced what they preached, so to speak. If they said something was right, they did it. If they said something was wrong, they didn't do it. They have integrity and honesty. I could trust that what they said was what they believed, and that made me believe it too. thy also explained why they did what they did, rather than making me obey blindly. I am not sure I would agree that raising pets and raising children are anywhere near similar. My first wife and I could not have children, so for ten years we had "fur babies". It was a replacement on what we could not have, and that was fine as far as it went, but it was nothing like having children. The moment my first daughter was born, EVERYTHING changed. Outlook on life, hope for the future, a need to change the future for the better, EVERYTHING. The vast difference is that a child has free-will, where as a dog does not. That sort of difference is diametrically opposed. I never had to train my dogs to hunt for rabbitt, or have my dog protect my sheep; they just did so. With my children though, I have to train them to do everything...against their will...which is why consistency works so well. From a very young age they have learned that there are consqueces for doing as I ask, and consquences for not doing so. I never had to do those things with my dogs, they were instinctually there. BUT I also treat a dog as they should be treated, hunting and guarding livestock. When people run off to work and leave their pets behind in crates and houses that is when troubles arise. Because the dogs are in an environment that is not suppose to be, they must be more submissive, and thus more intensive training taken place to. My livestock guard dog for instance, right now its kennel is 22 acres, and could be hundreds of acres if I opened up more gates. My beagels and basset hounds had access to thousands of acres. But if my children instintually rebel against me, and my dogs instinctually recognize me as their master, why do both approach me with affection? Because love is the greatest energy in all the world. Whether dogs or children, there is a NEED for love. Now if it was up to my wife, every one of our daughters would live in a bubble, protected by bubble wrap to protect them from everything, but yet my kids would be dead from exposure! :-) There is sort of a truth to that because my wife likes to nurture and coddle the kids...as she should. They run to her for kisses on boo-boo's, and crying from mean kids at school saying they sing too loud. But me, I try and push my kids to try new things, encourage them that they can do more then they think they can. As a father though, I cannot push too far as it can be too much. Every child: son or daughter; wants the approval of their father, and so if I push to the point of making my children feel they "can never do enough to please me", I will crush them emotionally. That kind of emotional carnage will be carried all through life. There are times to say, "oh you can keep going", and there are times to say, "you've done so good, I am so proud of you." I get it wrong all the time though, but I still must try. I am a father. So in other words you do NOT live with your dogs. Your dogs live outside in "their world" and you interact with them on a limited basis as you see fit (bring them food or occasionally taking them hunting) whereas your children live in your house and have access to you whenever you are home. Sort of like a person that has a 24/7 nanny and only interacts with their children occasionally at dinner. They would likely say they never have a problem with their children either (because they hardly ever see them) and then write it off to their "superior" parenting skills. When you actually live WITH strong willed animals your worlds merge and yes, they do have a will of their own. I share my home with a male livestock guardian and a male coonhound (both gotten as adults) among others and those dogs are full of personality with two being extremely strong willed, physically strong and brilliantly manipulative. Two of them took a couple of years or more to learn civilized house manners and they had a heck of a lot of fun "jerking my chain" in various ways to manipulate me into doing whatever they wanted at any given time. They would wear me down and I had to step back and analyze the situation in order to turn it around (vs me doing what they wanted just so I could have some peace). To complicate matters I love them dearly and will feel very very sorry for them if they look sad (and they know it). I feel a very strong nurturing drive towards all animals which makes me soft and easily manipulated by them, I am sure the hormonal instinct is even stronger in (most) biological parents, and you likely never experienced it before you had kids, but many of us have always had those drives. You think that has no bearing on raising kids? It sure as hell does -- the principals are identical. Learning how to set and defend boundaries, how to avoid getting emotionally manipulated, and finding positive ways to turn those situations around are LEARNED SKILLS and having kids isn't the only way to develop them. I, too, think it really important for someone to--before they have kids--have some experience in training an animal &/or working with kids. I can often tell who would probably be a good parent by how their dog acts. As for spending time with children, since so many people these days live far from extended family, and don't have much experience with helping with younger cousins/babysitting/etc, many people really need some sort of time with children. And that is how our current society is far different than the way humans historically raised children. 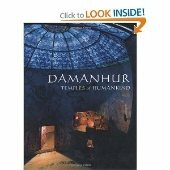 Historically people lived in small tribes/extended families. Instead of it being parents and children, it was a mixed age group with children as a part of the group. Most of the people in a child's daily world were much older or younger and the world definitely did NOT revolve around the kids. As a result they were raised by and learned from a variety of different relations with different skills and temperaments and differing ways of handling conflict. They also had close bonds with some of the much older adults in their clan and could discuss a variety of things as well as get advice on numerous topics. It wasn't a case of new parents being left alone with a new baby trying to figure things out and often learning the hard way. Today it is the exact opposite. Many kids are raised in a bubble from birth and attend age specific day cares, then schools, and after school activities. When they get home they watch tv shows or play video games geared towards their age range. They only rarely see older relatives and when they do there often isn't any real parenting involved since the grandparents just want to spoil them. If the new parents have poor boundaries or parenting skills there isn't anyone in the kid's daily life to act as a counter balance. When the kids reach adolescence young adulthood they often don't have any close bonds with older relatives so they can't seek differing opinions, it is either get advice from their clueless peers, or ask "Mom or Dad" and those options are very limiting. The thought provoking discussions or advice from your aunt/uncle or much older cousin is often very different than the lecture you will receive from mom/dad. Having an animal is also practice in being responsible. When I met my husband, he kept fish. LOTS of fish. You don't really train fish, you just feed them and take care of their water. But, he realized that he would not be ready for taking care of another human until he was at the very least able to take care of some fish. Caring for animals teaches responsibility and sacrifice. You have someone's life dependent upon you. Sure, it's magnitudes different than caring for a baby, BUT, it is something. And, many people these do not even have the experience of having an animal dependent upon them before they have a kid. Nicole Alderman wrote: Having an animal is also practice in being responsible. When I met my husband, he kept fish. LOTS of fish. You don't really train fish, you just feed them and take care of their water. But, he realized that he would not be ready for taking care of another human until he was at the very least able to take care of some fish. Depending on how many animals a person has, and how involved they are with them it teaches us a lot. It turns the "are they okay" monitor in your brain on so you are always "aware" of their activities and status when you need to be. It also teaches you how to deal with injuries and illnesses, and how to judge when things are NOT a big deal vs when it is a big deal and time to take immediate action. It also makes us much more tolerant of annoying noises and behaviors that are otherwise harmless. I once bottle fed newborn rescue pups which meant waking up at 3 am to whimpering, heating up a bottle of formula and feeding a litter of six every night for weeks. Is it the same as caring for a human infant? Maybe not the same but it has some strong similarities. You must put their needs first. Maternal and paternal hormones are not always a silver-bullet that makes every parent infinitely tolerant of a fussy infant that cries at all hours of the night, if people have dealt with similar situations before they develop the skills (and self-control) to deal with it patiently and gracefully. Having said that I strongly disapprove of young couples that practice by lavishing attention and love on a "fur baby" and then lose interest in the animal when the "real baby" arrives choosing to either ignore the pet the majority of the time or dump/rehome it. That is both cruel and selfish and any person that does that should be ashamed of themselves, of course most of those people are far too self-centered to recognize how horrible their behavior really is. Few realize how they are being conditioned by media. There is a reason it was named "television PROGRAMMING". If you want to have your eyes opened, go to YouTube and watch old TV shows and movies from different time periods and you'll see the patterns of what was being conditioned into us. A great example is Lost in Space. Even though the mother supposedly has advanced degrees in science, she and her daughter are always shown cooking and gardening and the daughter is obedient. The son is young, and made to seem smarter than his parents. He doesn't do what he is told. If it were only one show, that would be one thing. But each generation there is a progressive moving of family values and behaviors. Look at how they turn children into celebrities who are wholesome and gradually turn them into someone like Madonna. Look at the Mouseketeers. There are tons of examples of sexualizing them. Over my lifetime, what is acceptable has totally changed. What they could show on TV during prime time (supposed to be family hours) has totally changed. And imagine how video games are affecting the behaviors and values of those who play them. The best parenting is loving, attention-giving, and having chores and gardening and a homestead they participate in so they grow up responsible and able to see the consequences of their decisions and actions. Travis Johnson wrote: Because love is the greatest energy in all the world. Whether dogs or children, there is a NEED for love...As a father though, I cannot push too far as it can be too much. Every child: son or daughter; wants the approval of their father, and so if I push to the point of making my children feel they "can never do enough to please me", I will crush them emotionally. That kind of emotional carnage will be carried all through life. There are times to say, "oh you can keep going", and there are times to say, "you've done so good, I am so proud of you." I get it wrong all the time though, but I still must try. I am a father. Horses and dogs most definitely have free will; however, once you gain their respect some of them won't keep challenging you. On the other hand, many will challenge you their entire lives. I once had a horse that would only do what I asked the first time if I wore spurs (but didn't apply them). If I didn't wear them, I consistently had to ask at least twice for every little thing. Interesting example of a horse with free will. Some employees will whine and complain. If those sounds coming from someone who is not very productive, they are gone. My worst cry baby ever, was a young Native man named Martin. But he was also my most productive guy. Almost all of his complaint was directed at other workers who weren't as productive. He prodded and poked at them constantly, to pick up the pace and try to at least look like they are real men. Badgering and belittling come naturally to Martin. He uses a combination of profanity and wit, to wear down his opponents and achieve compliance. He will call into question, their intelligence, their commitment to whatever sexual orientation they have chosen, and anything else to get under their skin. One time he went at a guy about how ugly his girlfriend was, claiming that this was all a lazy guy like him could hope for. Martin has some anger issues and a need to be the center of attention. So, I encouraged him to direct these tendencies toward deserving individuals. It often worked. Either they would quit or pick up the pace. Both results are positive. With my kids, I didn't do the whining thing. I learned from one of them the idea of talk to the hand, and I would hold my hand up. They are now both school teachers and they don't tolerate whining. My youngest was put in charge of discipline at a school in London England when she was only 21 years old. Some children who are sent to detention, will whine about it. That's an absolutely pointless strategy with my daughter Jasmine. It's like she has temporary hearing loss. When subjected to whining, I usually turn to a third party and say," Do you hear that awful noise, I wonder what it's about?" Maybe it's bad Plumbing. The idea is to not even acknowledge the person making that sound, directly. I moved in with my now ex wife about 10 years ago. She had four children from her first marriage that were aged about 2 to 6 at the time. My own daughters didn't whine as I spent a lot of time with them and they quickly learned before they could talk to try and show me what they wanted and that if I said no that meant no... and all whining did was get me to whine back at them. The same trick worked very well with my now ex wifes children. When they would start to whine at me I'd start whining right back... mercilessly. Of course, my biggest pet peeve is adults "fussing"... complaining loudly, huffing, and otherwise making it clear that they are upset instead of actually just asking for help. Kids learn pretty quick once you put your foot down... whether that is sending them to bed, whining back at them, pretending not to hear them and hinting that whining isn't appreciated, or questioning them until they start expressing themselves in a manner that doesn't make you want to scream. I've never had to raise kids that were constantly rewarded with whining... but I do remember having to deal with their mom letting them watch that whiny caiyou (however it is spelled) show. They still liked the show for a while... but they liked me whining at them even less than I liked their whining at me... so it never became a real issue. Not too long before my ex decided she wanted a divorce she had started copying her mom (who had moved in with us) and started fussing about everything... and the kids started whining and fussing again. They wouldn't do it if I was the only one home... but being in the same room as my wife and the kids became painful as they all knew that if I started in while they were all going at it their mom would have a fit (she didn't appreciate me making fun of her fussing for some reason...). Way back when I worked at a corporate job I did the same thing to the techs that would come in and whine at me. If they stated their issue we would have a conversation and look into things. If they just started whining about something then I was pretty merciless. When our boss would call me in about teasing them I'd have him call them into his office with us and then explain the difference and tell them that if they didn't like me teasing them they should stop whining at me. I'd have like to sent them to bed... but you can't really do that with adults... and I've always tried to treat my children as young (or future) adults and found that treating them just like I treat whiny adults worked great. Lucrecia Anderson wrote: So in other words you do NOT live with your dogs. Your dogs live outside in "their world" and you interact with them on a limited basis as you see fit (bring them food or occasionally taking them hunting) whereas your children live in your house and have access to you whenever you are home. I think the problem is, I do not see animals as having "free will" as much as I see them as having a higher level of loyalty based on their instincts. For the most part, a dog is known for being loyal, where as a bear is notoriously known for being unpredictable. My dog, she is petty aggressive as I wanted her to be, four notches being on her collar for (2) coyote and (2) fox kills, but she even scared me. Then one day, she just laid down on the barn floor and wanted me to rub her belly, She had enough loyalty to show me her submission. But in contrast, my children are not loyal, they do what I wish because of consquences. It sounds harsh, but as an adult, experience has shown me what is best for them, though they often disagree with me. Even worse, instinct is to rebel against what I say. I never had to teach my daughters to lie, mouth back, or fight with their other sisters for instance. But if I held my daughters down and told them to say, "I love you", it would be meaningless because it was forced. "Free Will" to me is having the ability to have reign over all emotions. Thanks for your kind words, but I fail at parenting daily. But out of (5) daughters, adopted is about the only derivative we do not have. One is a foster daughter, so yes I am a professional parent. :-) Two are step-daughters, two are my biological daughters, and of course a few are half-sisters. No adopted sisters though, however I have (6) adopted brothers and sisters myself. Sadly, our work with those struggling with drug rehabilitation got us in contact with a person who wanted nothing more than to be with a family, and be on a farm. Had we had not just moved to our Tiny House, we would have taken them in. It is something we have done in the past for single moms who were struggling.